A cool vignette seen at a consignment shop in my hood. I need one of these on the back of my bike! Newly planted espaliered trees near my mom's house. I'm loving their gentle curve. where my Gypsy Mom met her Gypsy match! As you can imagine it was hard to pull her away. Just like a kid in a candy store! 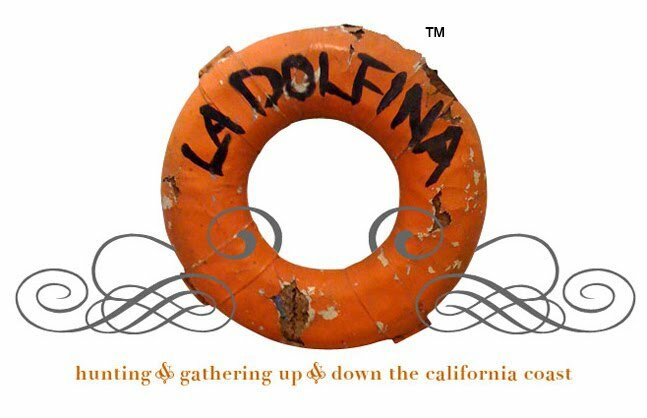 Always happy when La Dolfina pops up! Loved this guy's collection and stories. This represents the part of his collection he is pruning out. I too, have a thing for bottle openers. His were pricey, but well worth it. Many were purchased while in France. We got up early Sunday morning and took a drive up to Santa Rosa prompted by a craigslist ad for antique carrara marble and were greeted by this! I love it when craigslist takes you on an exciting adventure! Turns out it came out of the San Francisco Public Library. The marble pieces, approx. 450 of them in 2 sizes, 49 x 26 and 36 x 33 both 1.5" thick, were salvaged from the Library Depository. Here's the piece we chose. I'm thrilled to have a little part of San Francisco history! I have a few ideas up my sleeve. I'll keep you posted. Next we googled the best breakfast in Santa Rosa and ended up at The Spinster Sisters where we feasted on the most delicious Eggs Benedict and Breakfast Tostada with poached eggs. Happy Monday! You were busy this weekend! And I am so very very happy to see you were out with your Mom. I have missed seeing her in your postings. Do share what new life you give to the Library marble! Maybe something in your new garden? Whatever you do it will be fantastic no doubt! Love shopping vicariously with you and MOM!! She looks so cute trying on her earrings. I died when I saw the first image, that sailor piece is wonderful!! You Mom is a hoot and I love the marble. In Paris YSL is re-doing the store on Avenue Montaigne and you have never seen so much Carrara marble being carted around. You will find a few places for it! Your mom is such a hoot! Would love to shop with you two someday! Can't wait to see what you have up your sleeve with that historical piece of marble! Love this. Always a fun adventure to see where you end up and what you find along the way! Your mom is so fun! A great shopping buddy. Loving the Carrera too! It will be fun to see what you so with it. 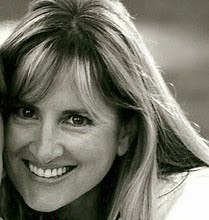 Terri how fun that you and your Mom are so close. I can see what a neat lady she is. Your posts make my days brighter. My 13 year old Granddaughter Isabella was over this weekend to help me, which is a great relief..plus she is so beautiful inside and out! Hi Terri, Your weekend looks like it was huge fun! J'adore the 1920's Gatsby style pearl collar...and oh the marble! You are probably going back for more - I would! What I'd like to know is: Where did that Craigs list person get the stone Terracotta Soldier? That is amazing. We saw them in China several years ago. I loved seeing your Mom in a hoodie. She makes them look good! She's probably the only person that wears one with beads! I am thrilled to see you back in Blogland! I have missed you and kept you and your mom in my prayers. You are right about the stone soldier, the man with the marble did get it in China! He was a world traveler in his 80's.and still very handsome and charming. You are so sweet about my mom, you know it never even dawned on me that she wears hoodies with beads. It is old to have you back my friend!!!!! Silly me, I meant to say it is GREAT to have you back!!!!! Terri, I can't wait to find out what you have in mind for that wonderful piece of marble! Hmm, loving the vignette in the first photo. Great to see you and your mom having a fun morning at the local flea market...you are right, she has met her gypsy match! Also, that pearl collar is gorgeous!